The Yeti, launched before the craze for SUVs took off, was an excellent car, but lagged behind somewhat in the looks department. 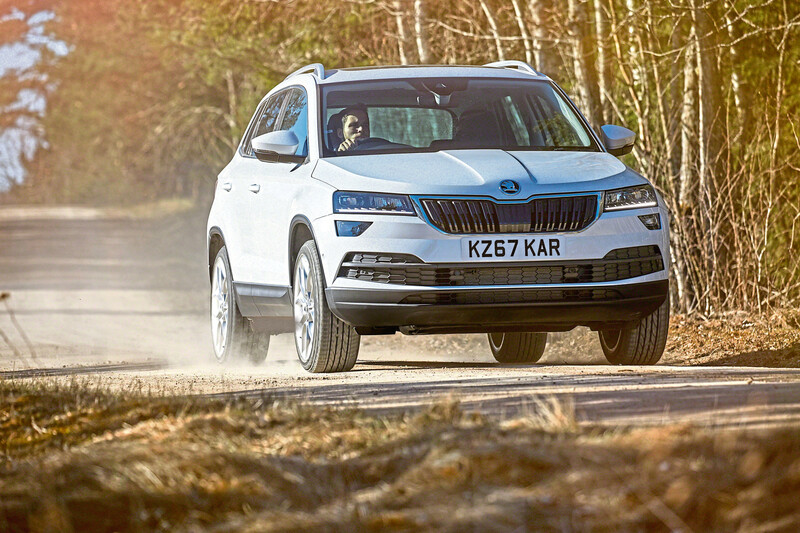 Much less strange-looking, the Karoq is an all-new car designed to tempt those who couldn’t stomach the Yeti’s appearance. It’s a far more handsome beast, with better proportions, a chunky stance and some nice detailing along its flanks and rear. The overall impression is more upmarket and grown-up. Buyers pick from four engines and four trim levels, which you can more or less mix and match. There are two turbocharged petrol units, a 1.0 and 1.5-litre, and 1.6 or 2.0-litre turbo diesel options. 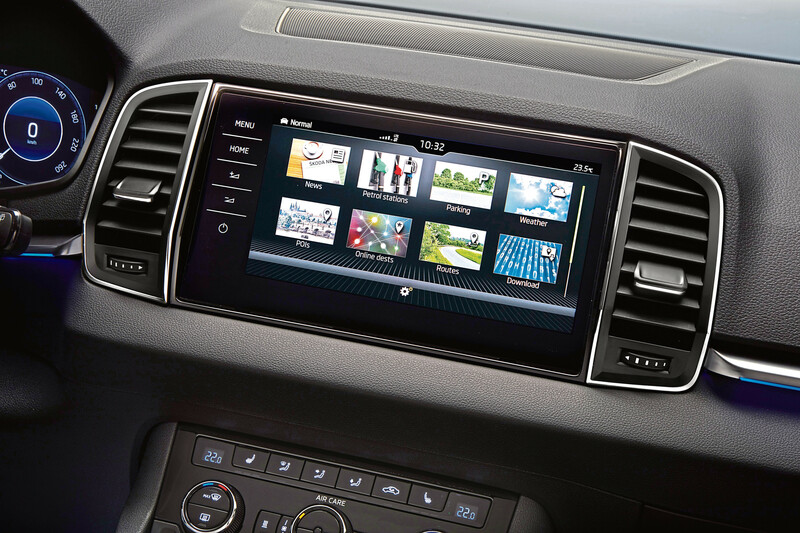 You can add Skoda’s superb seven-speed DSG twin-clutch auto gearbox to any of them. Four-wheel drive is available but only on 2.0-litre diesel versions. Prices start at just over £20,000. That’s a little dearer than a Seat Ateca or Nissan Qashqai, but cheaper than a Volkswagen Tiguan or Audi Q3. I drove the 1.5-litre petrol model in second-top SE L trim, which came with a price tag of £25,645. It came well kitted out, with Alcantara (suede) seats, 8in touchscreen, dual zone climate control, parking sensors front and rear and keyless entry among the highlights. The 1.5-litre petrol engine really impressed me. At 148bhp, it has an identical output to the 1.6-litre diesel. Nought to 62mph comes up in a sprightly 8.4 seconds and it’s quieter than the diesel model. 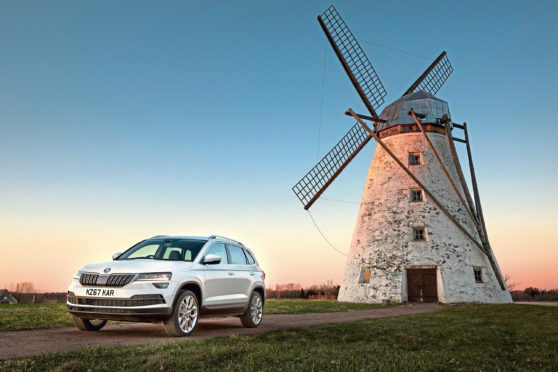 The Karoq’s suspension shines when it comes to smoothing out lumps and bumps in the road. On the motorway, it’s even better, making it a fine steed for long distance journeys. That comfortable ride means there’s a modicum of body roll in the corners, but that’s a small price to pay. The Karoq is a bigger car than the Yeti, and that shows on the inside. There’s plenty of room front and rear, and a big, square-shaped boot that’s easy to load. Skoda has thought through the details as well – the door bins are all big enough to hold 1.5-litre bottles of water and the central armrest contains a huge storage box. Very cleverly indeed, the rear seats slide and recline so you can increase passenger comfort or boot space. You can even remove them entirely, leaving you with more space than some vans. 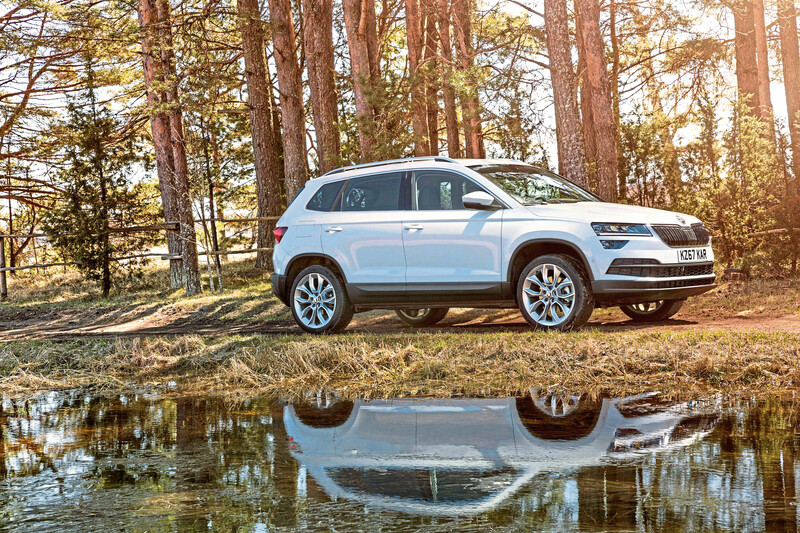 The compact SUV market is packed with talent but, with looks, practicality, comfort and refinement on its side, the Skoda shines next to its rivals.